Our Definition of Process: Taking steps that help us to become more like Christ. The only thing leaders truly need to remember is whom they serve, and it will be an honor and a pleasure for others to serve them back. • For you to be the boss. • For you to have all the answers. • For you to have a title. • For you to have a specific job. • For you to be perfect. • For you to be a certain age. Join us on Super Bowl Sunday during our regular morning service to get an inspiring inside look at faith in the NFL in a way that's relatable to all people. Hosted by CBS host James Brown, it’s a 30-minute video event with Christian pro football players Carson Wentz, Matt Forte, Demario Davis, and others who share their personal stories of how Jesus has changed their lives. It's fun, football, and faith wrapped into a high-quality video event. Our First Wednesday of each month starts again in February. This special Team Night is for everyone who serves on a ministry team or who is interested in joining one. 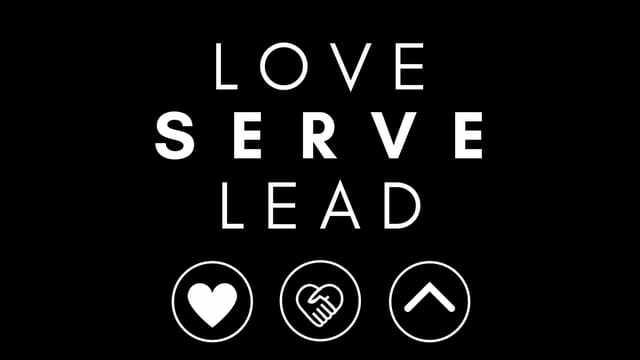 Pastor Jonathan will talk about our goal as a church and share more about how we can influence the culture of Love Joy as we serve.